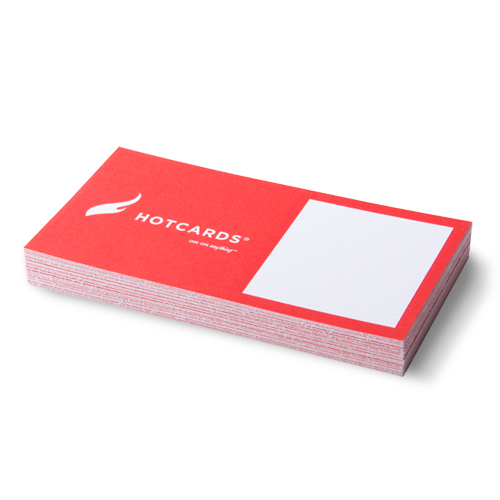 Look like a professional business with Hotcards’ Shipping & Mailing Labels! If you want to look like a pro, ship your packages with gorgeous labels! Your packages and envelopes are more likely to be opened when a gorgeous, full color Shipping & Mailing Label from Hotcards is applied. Add your company logo and return address to the Shipping & Mailing Label for a truly branded piece – without the expense of having custom printed packaging. Our Shipping & Mailing Labels are printed on economical yet durable paper. Hotcards Shipping & Mailing Labels leave no room for confusion as to who’s package or envelope this is – and can be designed with any image or logo you choose. If Shipping & Mailing Labels weren’t exactly what you had in mind, make sure to check out our Kiss Cut Stickers, Roll Labels or Roll Stickers. No coating applied for easier writing surface. For indoor use only – not waterproof. Stock thickness (without coating): 70lb. Kiss Cut Stickers is the name used for cutting the vinyl of the sticker, but not the backing paper. It's like a real kiss, but with a razor sharp blade. We’ll print on the backside of your sticker in vibrant full color. Please note: we cannot print on the back of DuraHOT 5000 Stickers & Labels.